TellyBuzz gets a confirmation that Remo D Souza will not be mentoring Zee TV's DID Doubles, but will be part of the jury panel in Sony's Jhalak Dikhhla Jaa.. The latest Buzz has come to us that Remo D souza, one of the mentors of Zee TV's popular show Dance India Dance will miss this upcoming season of doubles which is scheduled fto begin in December. We hear that Remo has signed on the papers for the other dance reality show, on Sony TV, Jhalak Dikhhla Jaa. He will judge the show with two other celebrity judges. 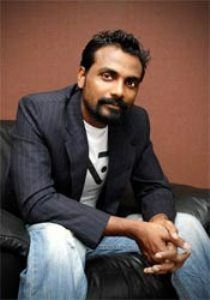 A source says, "Remo has just come down from Malaysia as he was busy with his choreography for his next upcoming movie. He was a bit confused with the judging ventures he had; he was somehow juggling between Jhalak Dikhla Jaa and Dance India Dance, but has finally decided to accept Jhalak Dikhla Jaa as he was clueless about the coming season of Dance India Dance Doubles." "Remo was going to be part of DID Season 3 as it was going to start in March next year. As he had time in hand, he decided to do Jhalak now and even signed the papers. But now he got the information about the immediate season of DID Doubles, he was left helpless as it would be unfair on his part to deny Jhalak after signing the agreement," adds our source. We contacted Remo, but he was busy as his father has been admitted to the hospital after suffering a paralytic attack. However, Remo's wife on his behalf told TellyBuzz, "Yes, Remo has finally signed on the agreement for Jhalak. It would be unfair on our part to deny the channel now. Anyways Zee TV will be always our family as Remo will be back in the show for DID season 3 coming March." Well now the air is cleared about Remo being a part of Jhalak! Ammaji v/s Sia - The Battle is on..